Garage door springs can break due to wear and tear, fluctuations in temperature, and improper adjustment or maintenance. If you’ve heard a loud snap from using your garage door opener, or your garage door isn’t moving at all, there’s a good chance the spring needs to be replaced. Spring replacement can be very dangerous without the proper training and equipment. 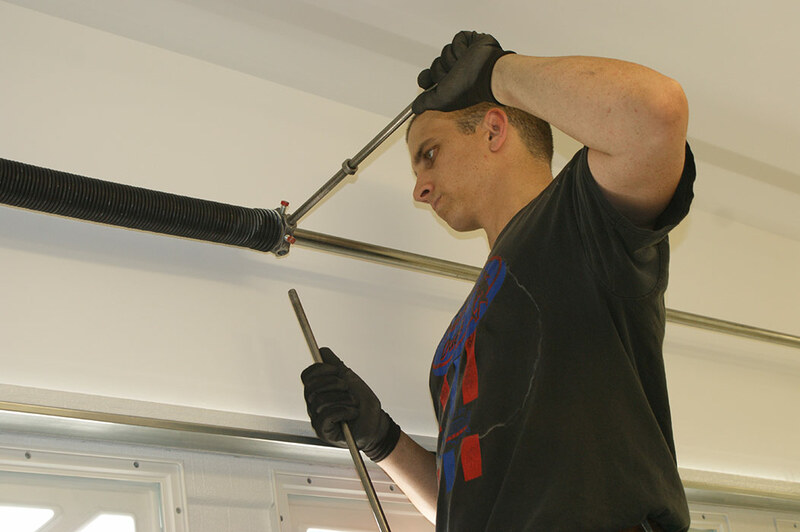 Let the professional, skilled technicians at ANCO Overhead Door Service take on the job. 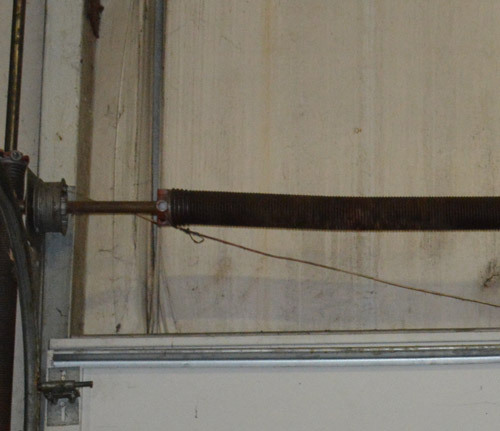 How do you know when a garage door spring is broken? If a spring breaks, you will know. Garage door springs are metal coils that are wound very tightly and locked into place, which means they’re under a lot of pressure. When one breaks, all of that pressure is released immediately and often sounds like a gunshot going off. The broken fragments may end up flying off the torsion rod and can even cause damage to other items in your garage. Garage door springs help to offset the weight of the garage door and reduce the amount of effort the garage door opener uses to open and close the garage. When a spring breaks, the garage door will no longer go up or down because the opener isn’t able to move the garage door on its own. 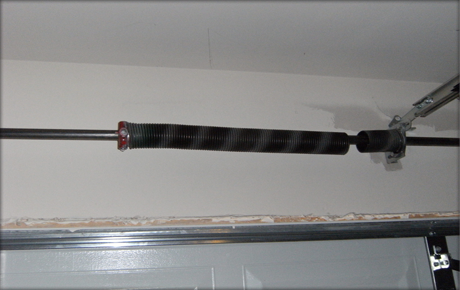 It is not a good idea to try and replace or install garage door springs on your own. Garage door springs are under a lot of tension and therefore are very dangerous to work with. During the removal and installation process, it is possible for the springs to break or snap – which can cause property damage, bodily injury, or even death. We recommend hiring a professional garage repair specialist to handle any repairs or replacements related to garage door springs.